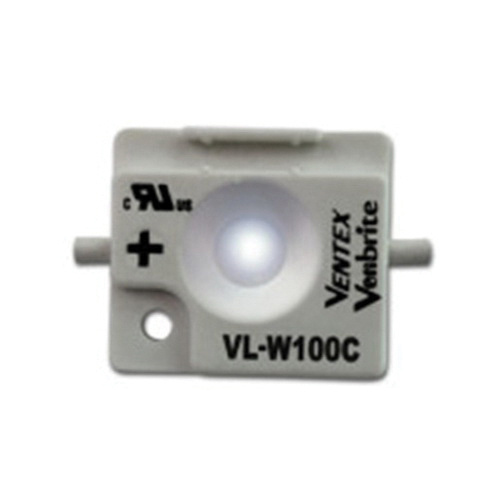 Ventex 100 series LED sign light produces 56-Lumen, 144-Lumen per Watt string, 128-Lumen per Watt system and 112-Lumen per feet. The white color LED has current rating of 120-Milli-Amps DC. It provides overload and polarity protection with minimum failures. It is perfect for signs that are 4 to 6-Inch deep. It delivers brighter light than 30-Milli-Amps neon with 65 to 90% energy reduction.